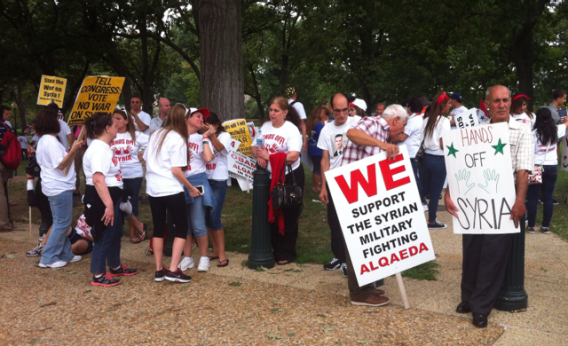 Pro-Assad protesters rally outside the U.S. Capitol. More than 200 Syrian-Americans, most of them from a community in Allentown, PA, marched as close as they could go to the Capitol today to protest any bombing of their mother country. Quotes from protesters and more context to come shortly.